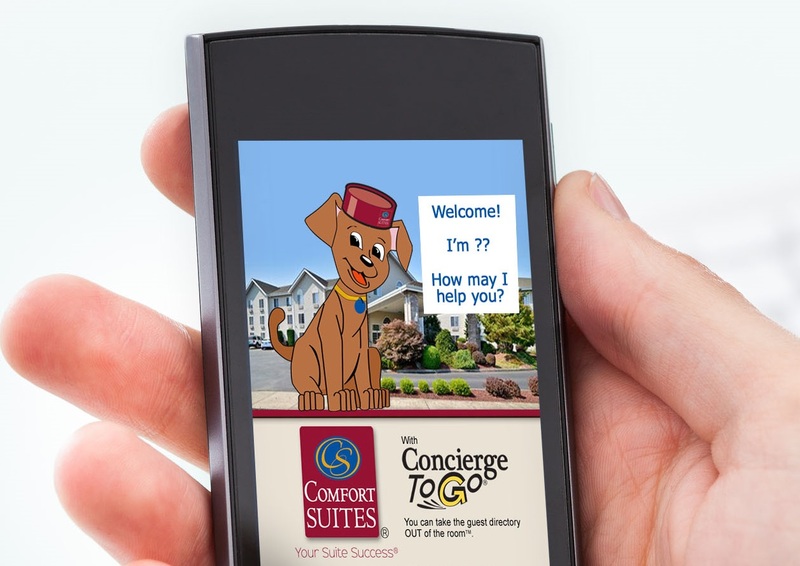 Comfort Suites launches Facebook Name Our Concierge contest for their mobile virtual Concierge ToGo® app to engage community and give every guest a 24/7 helpful canine companion. Booker Welcomes Hotel Guests with a Welcome Bark! Hundreds of hotel guests and visitors helped name the Corvallis Comfort Suites new virtual, mobile concierge. A four-day Facebook “Name the Concierge” Contest engaged hotel guests and visitors, generating several hundred entries. “Booker” is the new name for this new four-footed friend. Other clever names submitted included Porter, Comfy and Cozy. The Facebook Contest winner received a Corvallis Staycation, including a night at the Comfort Suites,a themed gift basket and dinner at a local restaurant. The “canine concierge” will now greet hotel guests with a "welcome bark" on their mobile phones even before they check in when they download the Corvallis Comfort Suites Concierge ToGo® app. Booker is the latest of the many personalized virtual concierges helping hotel guests on the West Coast with HospitalityVision's Concierge ToGo ® smart phone app available on the Android, iPhone and tablet. ConciergeToGo ® is the only such personalized virtual concierge hotel phone app in the nation. Guests search Concierge ToGo at the App Store and Google Play, download the app, enter a hotel code and then ring a bell to meet their unique, animated concierge. 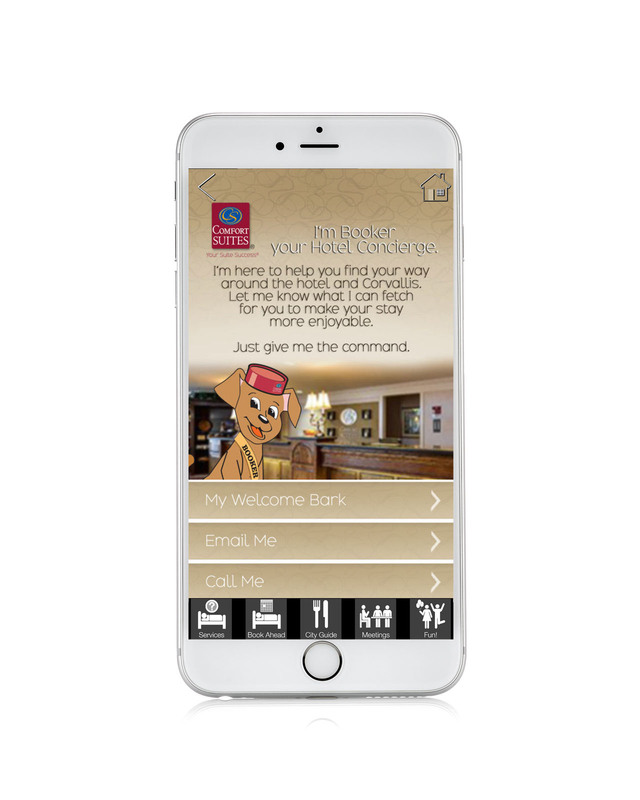 Hotel Guests at the Corvallis Comfort Suites can use this hotel app to “Ask Booker” to fetch whatever they need – a pillow, wake-up call, or help making dinner reservations -- via email or phone. Why this name? 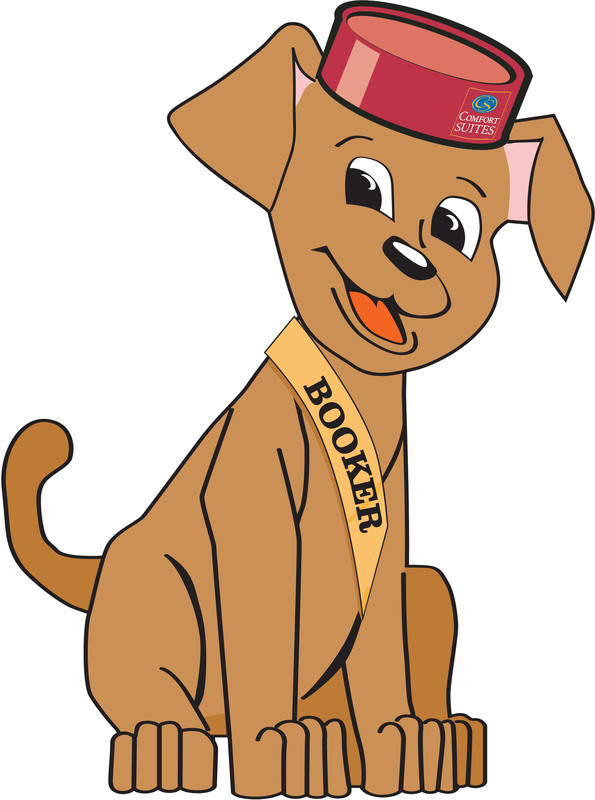 Guests can book with Booker. 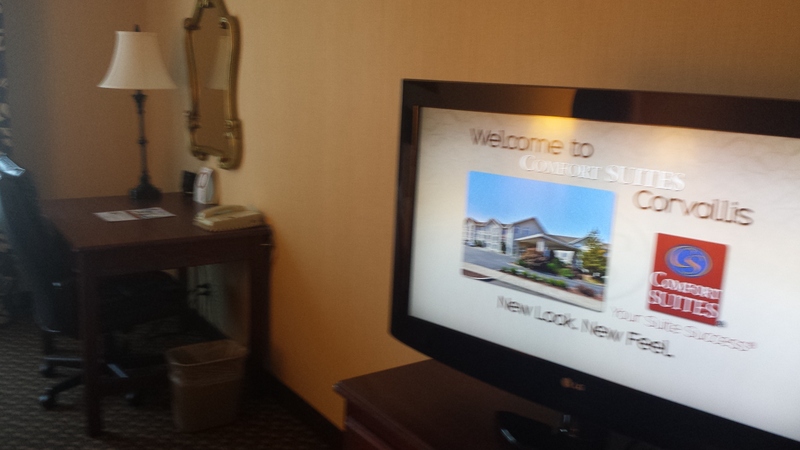 There is even a link to Choice Hotels Pet Travel Tips. Guests can also use the hotel app to tour hotel amenities, check daily meeting times, request a wake-up call, connect with the hotel on TripAdvisor and other social media, send a postcard, make dinner reservations, book a spa or limo tour, find their way around town and Oregon State University, check out local events, restaurants and shops and even play a game called Hotel Run. Guests can even use the app to send a local gift basket if they are looking for a last minute gift. Doreen Cowan, the Comfort Suites GM says, “Dogs are part of our family, and our hotel is pet friendly so it makes perfect sense to have a devoted dog as our concierge. Everyone likes dogs and travel with pets is on the rise - if a guest has to leave their pet at home, we have one here for companionship. Plus, the contest connected our guests with our hotel in a fun, unique way. Guests can contact Booker, and he’ll fetch whatever is needed -- a pillow or a toothbrush. Plus, he's so quiet, that his "bark" will never disturb other guests." HospitalityVision President Marti Staprans Barlow explains: "For corporate franchise hotels, like the Comfort Suites, Concierge ToGo ® gives hotels a chance to build a local, personal relationship with their guests through social media promotions and their own, unique concierge. Some hotels have conicerges that resemble the owner or even a superhero. Our customized hotel concierge app can be updated immediately on all platforms from anywhere. Hotels and concierges like Booker can invite guests to a last minute happy hour in the lobby." With more than half of the world’s travelers using smart phones and more than 50% of these travelers now using their phone for booking and travel-related searches, the virtual concierge is the best hotel companion. Those numbers will only increase in the future. With Concierge ToGo® travelers do not have to search for information and entertainment, it is all right there in one place. 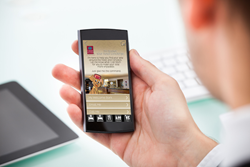 HospitalityVision helps hotels create their own mobile and TV concierge. Hotels can purchase the TV Guest Directory, which meets hotel franchise guidelines for mandatory in-room directories, starting at $1295 and/or hire a custom mobile concierge for just $49 a month -- or free with advertising sponsors.Concierge ToGo® is available for BnBs, too. To hire a concierge, visit HospitalityVision.net or email info@hospitalityvision.net or call (541)760-5996. HospitalityVision, developers of Concierge ToGo®, is located in Corvallis, Oregon and San Francisco, California and serves more than 75 hotels and BnBs.